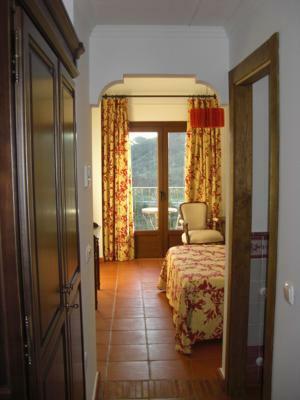 Lock in a great price for Casa Rural Mi Abuela Maria – rated 9.7 by recent guests! Lovely small hotel in Mojacar. It was late in the season and the owner was very accessible and friendly. The place is beautifully decorated and the room was very comfortable. Since we had a car, we were easily able to enjoy the beach and restaurants in Mojacar. Would love to think that we might be back sometime. We liked the location it was so peaceful. We were made very welcome by Rosa we didn’t have breakfast as we were only there for 2 nights and we were out exploring Mojácar. 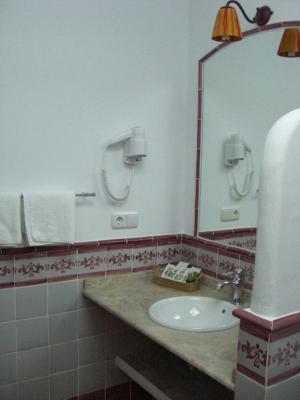 The room was excellent and spotlessly clean and had air conditioning. We would definitely return and highly recommend it. Really great place. Pictures don't show it. Very comfortable and clean. 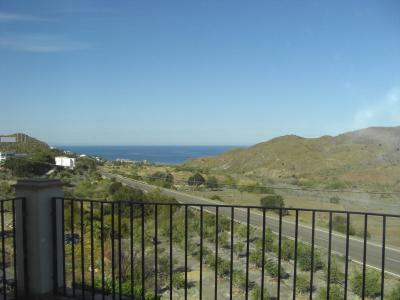 Located between the town of Mojácar with lots of restaurants and Cabo da Gata National Park with beautiful empty beaches. Rosa is a great host. We really enjoyed our stay! Genuine people place and feel to this lovely little hotel . Everything was wonderful. It was our best stay during the trip. We can't forget colorful volcanic rocky coast and picturesque beaches around, cozy atmosphere and friendly owner to whom we owe these happy days. Thank you! The accommodation was delightful. Very authentic and perfectly clean. Rosa, the owner, was an excellent host and made us so welcome. If we are in this part of Spain again we will be back to stay here. Rosa made contact prior to our arrival re any breakfast requests, time of our arrival and gave us her mobile number in case of getting lost - we got a little lost and she kindly guided us back to her, breakfast was freshly prepared and cooked for us. 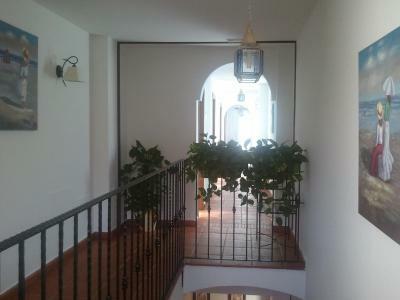 Location is perfect, Rosa is a lovely lady, a welcoming and helpful host. 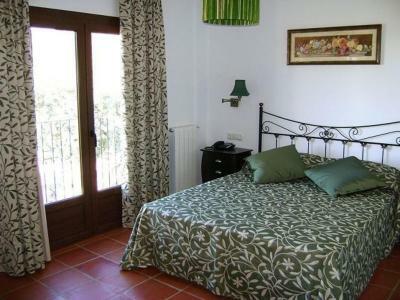 Rooms are lovely as is the style of the whole building and gardens all of which are immaculate. All rooms have a lovely sea view. Rosa Flores is a very nice host. A very nice family runned rural hotel. The location of the hotel. The view at the sea and your own small balcony. Thanks Rosa! 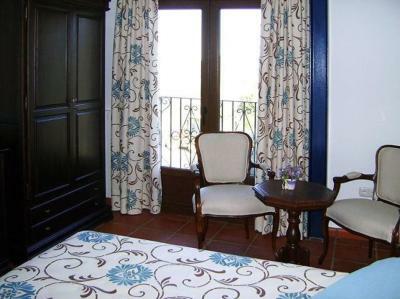 This country house is located in Agua Enmedio, just 5 minutes’ drive from the Costa de Mojácar beaches. 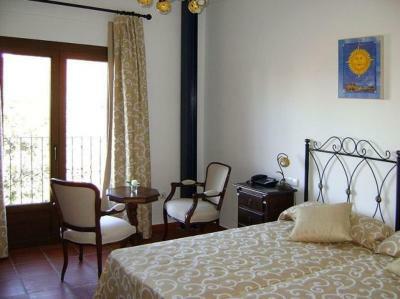 It offers air-conditioned rooms with free Wi-Fi, satellite TV and a balcony. The rooms at Casa Rural Mi Abuela María feature terra cotta floors and dark wood furniture. 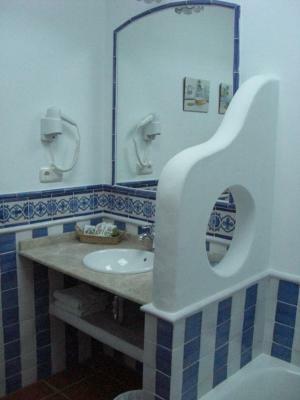 Each one has a flat-screen TV, a private bathroom and views of the sea and Playa Macenas Golf Course. 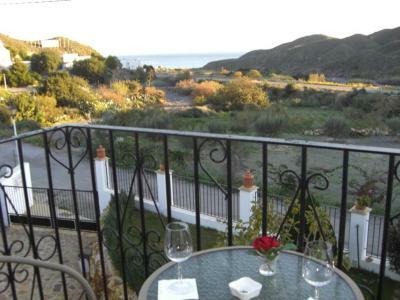 Macenas Golf Course is just 3 minutes’ drive from the Casa, and the Cabo de Gata Nature Reserve is just 10 minutes away. You can drive to Almería Airport in around an hour. When would you like to stay at Casa Rural Mi Abuela Maria? 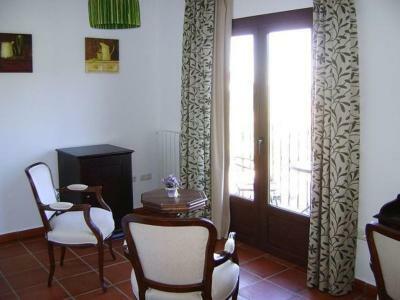 Featuring a living area and 2 balconies overlooking the sea, this room is made up of 2 connecting rooms, one with a double bed and the other with a single bed. 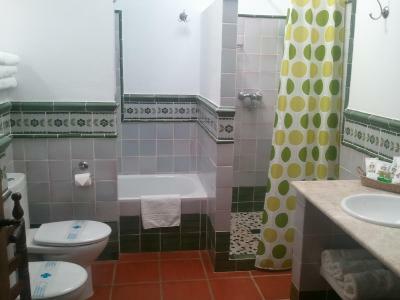 It has a bathroom equipped with bath and shower. This twin room features a sea view, mini-bar and satellite TV. House Rules Casa Rural Mi Abuela Maria takes special requests – add in the next step! Casa Rural Mi Abuela Maria accepts these cards and reserves the right to temporarily hold an amount prior to arrival. Guests who plan to arrive after 10 pm are kindly requested to inform the hotel in advance. Contact details can be found in the booking confirmation. Please inform Casa Rural Mi Abuela Maria of your expected arrival time in advance. You can use the Special Requests box when booking, or contact the property directly using the contact details in your confirmation. Amazing location, most friendly owner, very helpful! Fantastic breakfast. Rosa!! The perfect hostess, nothing was a problem. To be asked what we wanted for breakfast makes a change from being told what was available. The extra unique touch of a home made pastry was wonderful. We were given advice on good eating places in Mojacar, essential to book in peak season. 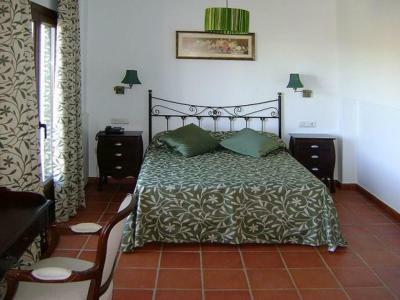 Lovely spacious room, spotlessly clean, tastefully decorated and with a sea view. Everything was wonderful. Rosa is a lovely friendly lady and made the stay even better. We really enjoyed our stay and we were very sad to leave, we will return.